What is the Essence of Your School? Great read on school culture. Yet another story of a school searching, moving, transforming! In #EdJourney, Grant Lichtman discusses schools’ value proposition. That is, what your school offers compared to other schools. Each school sets out their vision – implemented to different levels by different schools, some completely through all staff members, some just believed by Senior Leadership. The Value Proposition, as I understand it, is about what you actually do compared to what you say you will do (much like Espoused Theory vs Theory in Use by Chris Argyris). 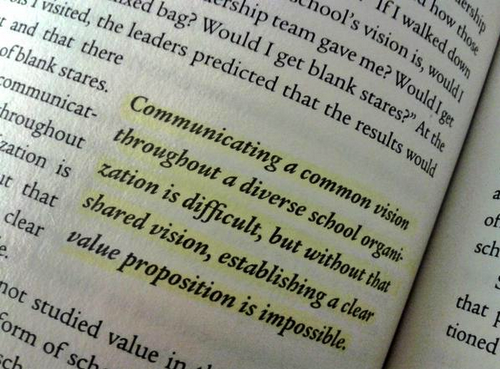 It essentially says that the practices of a school tells their community they really value. If we asked parents what their son or daughter gains by going to your school rather than the one down the road, this is the Value Proposition. Every year should be a year of great teaching. Naming it as such is one thing but actually achieving it is another. A teacher needs to have a clear idea of what great teaching is and then determine their next step towards it. Beyond Dependency Learning: scaffolding, crutches and stabilisers. 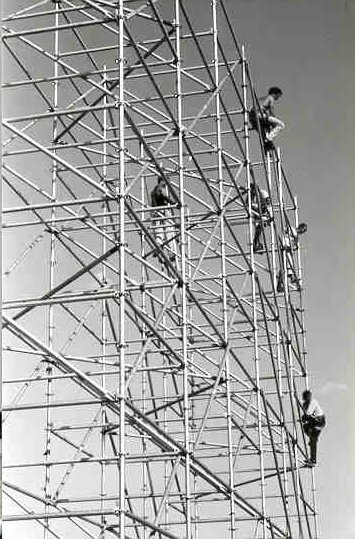 Scaffolding is the means to an end…but the building should stand alone. One of the challenges we face as teachers is knowing how much help to give. There are so many examples of structured support across a range of learning experiences: arm-bands in swimming, stabilisers on a bicycle… the vocab crib-sheet in language learning. They are all designed to provide support in the early phases of learning, with the explicit goal of removing them later on. The question is when. My feeling is that, too often, we leave the support structure in place for too long and students develop a dependency; an over-reliance on the support and a mutually reinforcing fear of failure. 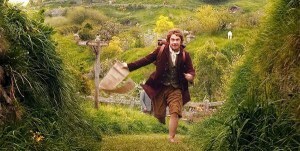 “I’m going on an adventure” said Bilbo Baggins. I might not have met dwarves, elves or a dragon, but heading into my first week of teaching, I could absolutely relate to the nervous excitement felt by Bilbo in J.R.R. Tolkien’s famous tale, The Hobbit. I had just finished my two months of training with 66 other young Australians with Teach for Australia and Deakin University. I was taking with me a fresh backpack full of tools, ideas and techniques, excited, optimistic and trying to be realistic about the challenge that lay ahead. Our system and school leaders gathered last week to reflect on past achievements and to focus on the work ahead. Over the next two years our system’s strategic focus will be to ‘renew and adapt’. It is not about changing course or increasing the workload but reflecting on our practice; renewing our skills and passion; and adapting our pedagogies to improve the learning outcomes of each student. Each year we select a professional learning text. This year’s was chosen because innovation requires teachers who are willing to continually renew and adapt their practice in ways that positively impact on students’ lives and learning. As Lyn Sharratt says this is the essence of educational innovation.